С 2005 г. Terre des Hommes реализует проект по защите молдавских детей группы риска, жертв эксплуатации и торговли, выявленных в России. В настоящий момент Tdh ищет партнера для проведения (в рамках вышеуказанного проекта) исследования положения молдавских детей, выявленных без сопровождения на территории г. Москвы и Московской области. Выбор партнера будет происходить на конкурсной основе. Для участия в конкурсе приглашаются государственные и некоммерческие организации, независимые эксперты. ﻿Цель исследования – анализ процесса защиты уполномоченными органами РФ молдавских детей, выявленных без сопровождения на территории г. Москвы и Московской области, в сопоставлении с международным законодательством и стандартами. Ниже приведены подробное описание исследования и техническое задание, а также краткая справка по проекту Fight Against Child Trafficking (FACT). Мы готовы ответить на возникшие вопросы по тел. /495/ 660-92-86. Всех заинтересовавшихся просим выслать конкурсную заявку на английском языке, включающую CV организации и/или экспертов, мотивационное письмо, 2 рекомендательных письма двум адресатам: tdh-moldova@moldnet.md и fact_moscou@mail.ru не позднее 30 июня 2011 г. Сроки конкурса, указанные в техническом задании уже прошли, но, тем не менее, наше предложение остается в силе. Project FACT Transnational Action (“Protection of Moldovan children at risk or victims of exploitation and/or trafficking in Russian Federation and Ukraine”). Terre des hommes (Tdh) is a Swiss non-profit and apolitical Foundation created in 1960, in order to promote child rights and offer help to vulnerable children. The Foundation has an experience of over 50 years in supporting child protection structures and strengthening capacities of social actors to ensure adapted assistance based on child needs. 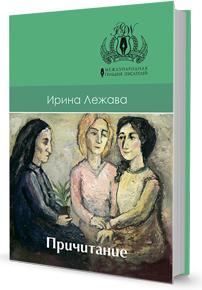 In the Republic of Moldova, Terre des hommes started its activity in 2004. FACT Project “Fight against Child Trafficking” is implemented in partnership with the Ministry of Labour, Social Protection and Family (MLSPF), and the Swiss Agency for Development and Cooperation (SDC). The project aims at reducing the number of child victims by improving public service providers capacity to protect and assist children identified in destination countries and to ensure that an adequate assisted voluntary return and reintegration of children takes place within their families or in another protective milieu. Following seven years of project implementation, a significant number of Moldavian children were found illegally staying in Moscow and/or the Moscow region (hereafter referred to as Moscow). While serious child protection concerns arise in each individual case encountered by Tdh team in Moscow, it appears that the only measure that is considered by the Russian authorities is to proceed to the return of the identified children. Though other adequate responses, that would take into account the views of the child, as well as the specificity of each case, return tends to be automatically implemented, and therefore appears to be a systematic answer. Following a rapid appraisal of the situation Tdh team has evidenced that not all children were willing to return to Moldova upon identification and that they may have subsequently been returned without being consulted and maybe even against their will. Though staying on the Russian federation territory is not an unqualified right of migrant children, Tdh wishes to explore whether other solutions that would better take into account the best interests of each individual child could not be found, and advocate for the harmonization of the Russian legal framework and practice with the provisions of the UN Convention on the Rights of the Child as interpreted by the Committee on the Rights of the Child. In light of the above, Tdh, in the framework of the FACT Transnational Actions project, has decided to commission a research that would comprehensively analyze how the situation of Moldovan children illegally staying on the Russian territory is contemplated by national legislation and dealt with in practice. The process of protection by Russian authorities of Moldovan separated and unaccompanied minors is critically assessed against international instruments and standards. Moldovan migrant children separated and unaccompanied. 1) The laws, regulations and processes (legal framework and processes) applied to cases of Moldovan children illegally staying on the Russian territory are understood and their compliance with international instruments and standards is analyzed. 2) Precise information on number and profile of Moldovan children identified by Moscow authorities is collated and analyzed. - Compliance analysis of the national legal statements/practices and UN interpretation of Best interest of the child. - Interviews with key institutional stakeholders and NGOs active in migration field, for highlighting the conformity of the national and local practices with national legal framework and international legislation signed by RF (a minimum of 20 interviews). - Development of a comprehensive report based on the above mentioned activities. 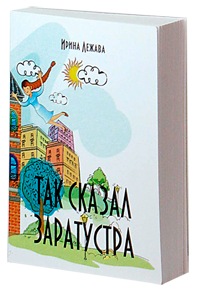 - Critical assessment of the applicable domestic laws, regulations, policies and strategies against the UNCRC provisions (as interpreted by the Committee on the Rights of the Child) and other relevant international instruments ratified by Russia. - A set of recommendations is provided at the end of the research on the improvement of the legal framework. b. Number, profile of Moldovan migrant children separated and/or unaccompanied in Moscow and its region. c. Modes of migration of children/ birth on the RF/ duration of presence in Moscow. 1. A set of recommendations on the way to better ensure that the best interests of the child is a primary consideration in all decisions affecting them throughout the whole case management process is included at the end of the research. - All official and latest versions of laws and regulations quoted in the research in original language and, where possible, their English translations. All documents will be submitted in English. - Moscow and Moscow Region. 1. Obtain all the legal authorizations to achieve this investigation. 2. Prior to the research implementation, the researcher should draft and share with the management team at Tdh Moldova and Moscow Office an action plan for desk research and interviews (containing a list of all interviewees). 4. During and after the interview period, the expert will collate and analyze the data gathered, draft and finalize an analytical report based on the above-identified areas. - The researcher commits itself to act and performs its tasks always in a professional manner, aiming at quality and efficiency. - Keeping the confidentiality of the data collected will be paramount from the inception of the research until the conception of the report. - The researcher takes on the responsibility of ensuring the strict respect by all participants to the research of Tdh child protection policy (document attached to the present ToR). - In all circumstances and activities, the researcher must bear in mind the principle of the best interests of the child. 30% of the budget at the sending of the final report. If the service provider is not fulfilling his duties, what ever the reason, he will return all the money already allowed. The process of study realization is going to be under permanent technical and financial monitoring of Tdh representative. A follow up comity will be composed by the Moldovan delegation and the resource person in Lausanne. Studies: University studies in a relevant field such as Law, Political Science, Sociology etc. Skills: Good computer literacy Proficient with MS Office Pack Please send your CV, cover letter and reference letters of at least 2 persons as well as two writing samples. Due to the anticipated high volume of applications, only shortlisted candidates will be contacted.